Pet food. This seemingly harmless topic has got some pet parents going bonkers. OK, so truth is pet nutrition is a pretty complex subject. One of the more difficult classes I took in college I will admit and I am definitely no expert in this field. I do enjoy learning new things about pet nutrition, however. 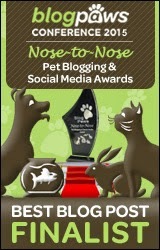 Being a member of the pet blogosphere, I find that I learn something new about pet food and nutrition almost everyday. In this modern day and age, a pet parent's food options for their loved ones are increasing exponentially it would seem. 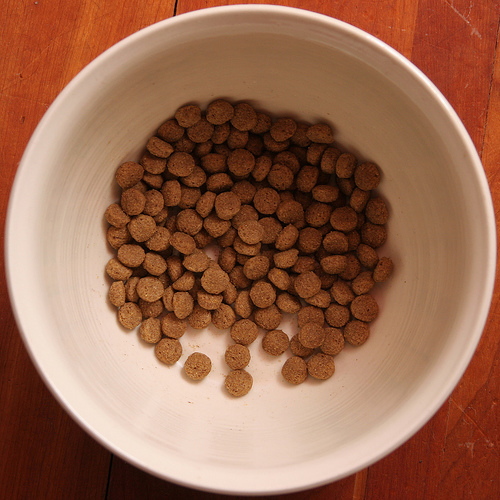 You can choose between kibble, cooking your pet's own meals, or raw diets. I haven't even mentioned all the treats and brands that are available on the market. Some people might find all this baffling and have a hard time choosing what they feed their pet. Others are quite adamant about their beliefs on pet food... almost to the point that it's like a religion. 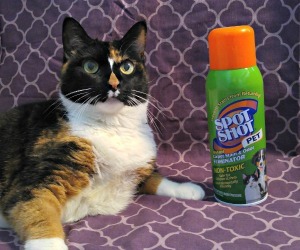 I'll go ahead and share my thoughts on pet food, specifically for dogs and cats. I feed Shiner, my dog, kibble. It's not a very expensive kibble, but it's not a low quality brand either. I don't think there is anything wrong with feeding your dog or cat decent quality kibble. I can afford it and it's convenient for us. I think cooking for your pet is a great idea. The only thing that makes me apprehensive when people talk about how they cook for their pet is if the pet is getting proper nutrition. Rice and chicken isn't going to give your pet a well-balanced diet. I know most people who cook for their pet do their research, but trust me - there are those people out there who don't. I don't cook for my dog at the moment because I'm not sure I could afford it. Plus, I already have a hard enough time getting motivated to cook for myself. This one is the most controversial it seems - the raw food diet. Working in a vet clinic for several years had led me to believe that this diet was bad. I slowly became more accepting of it over the years. Now, I can accept the fact that this diet may not be so bad but I just don't think it's for me or my pets. What bugs me the most about this diet is how die-hard some of the raw diet fanatics can be. Why is pet food so controversial? The inspiration behind this post came from a thread in a Linkedin group that I commented on awhile back. The topic was something along the lines of "What do you think of all these pet food recalls that are killing our pets?" I replied that in working for five or so years in veterinary medicine that I had never seen a pet die as a result of a pet food recall and I didn't think it was such a bad thing to feed your pet kibble. After that, I wished I hadn't commented at all. Attacks from anti-kibble revolutionaries started pouring in. One person asked if I had ever seen a pet die from cancer, kidney disease, liver disease, or other diseases blaming them on kibble. Of course, I replied yes to this question as I've unfortunately seen numerous pets die for these reasons. But how can I quantify that these deaths were actually due to the food that they ate? I was not conducting a pet food related mortality rate study in a laboratory. The die-hards were attacking my thoughts that kibble wasn't a death sentence. I wasn't saying that cooking or feeding raw food to your pet is a bad thing, I was just saying that kibble isn't a bad thing. I'm not trying to "hate" on other feeding methods or convert anyone to my pet food beliefs. Anyways, if you want to have a heated debate with someone, just mention pet food. It's a sure winner for hours of back and forth bickering. Can't we all just get along? You are right about that. Topics that should be off limits...politics, religion and pet food. LOL - thanks for making me laugh with this... I hadn't thought of comparing it to politics yet. If the food was a seed mix I will believe it. See mixes are not typically the best food for exotic pets like hamsters, birds, rats, etc. because they are quite deificient in vitamins in minerals. I'm much more of a die-hard food fanatic when it comes to exotic pets. We always recommended pelleted food because it is well-balanced. I like tinned food - I guess I am trying to say that "manufactured" pet foods aren't all bad. We leave the pet food debate to others. Each to their own. Have a terrific Tuesday. Good idea Molly - I was apprehensive to write such a post lol. you are right about this starting a debate lol...I believe as far as cats go (since I am more experienced and knowledgeable about cats than I am dogs), I believe a cat's diet should NEVER be exclusively kibble. It should be a mixture of wet and dry food. (Wet being canned, even adding water to kibble).....eating a diet of strictly dry kibble is NOT good! I've heard a lot of that recently. I would have to agree with you as well. I am mostly just talking about pet food that is manufactured and packaged by companies and not home-made. Isn't that the truth?! I'm part of a couple of cat communities on a journaling site, and I've always been hesitant to put my two cents in about what I feed my cats because some people go sooo nuts over it. Before my orange boy got sick, I fed my kitties California Natural. We tried Evo, but Lita's allergic to it. I thought the California Natural was a pretty decent quality food. They got kibbles and wet food. My babies have never had a problem with eating too many kibbles, so I feel comfortable giving them kibbles in their bowl and letting them eat them as they want. Sounds yummy Easy! Shiner will eat raw meat if I accidentally drop it on the floor while cooking, although I've never tried to intentionally feed it to her. She'll eat anything though lol. It's such a good point. Pigs are a little easier than cats, dogs and other animals but they still require a very specific nutrition plan. I don't think I know anything about pig diets. I'm curious to know what Cocco eats now! hope everee one haza terrific toadfish twoozday !! I think it's important that you eat too kitty! My KKMM was a hunter and liked to eat rabbits. So I guess she did do the whole "raw diet" thing. I didn't really like it, but it was pretty hard to stop her. yup, Mom was all concerned about me eating canned cat food--course all her other kitties before me ate it and lived to be very old! MOL! She and Dad tried me on the raw food they bought at the pet store...I walked away. Soooo...settled that worry!! LMTO!! We just don't talk to others much about what they feed their furramily members. Well, I guess you made that choice for them hehe. Sometimes our pets tell us what's best for them I think. I guess cats must like only the freshest raw meat. I don't think my cat would have eaten raw food if I gave it to her. But she certainly would eat freshly caught rabbits and mice. 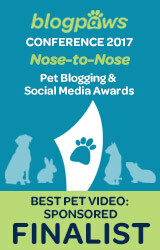 Thanks Gizmo - I can't imagine how many pet foods you came across at the Expo! I completely agree with you too. My Titan eats C&P Ultramix kibble. I also boil chicken breast and break up a few small pieces in his kibble. He loves him some chicken. Sometimes I'll treat him to boiled ground beef and give him a tiny meatball as a treat or break one up in his food. He's like his momma, a meat and taters kinda guy. I don't understand the big debate but I have been told by many a person on what to feed my boy, and they were clueless. Pibbles have allergies as you know, so I have to watch what I feed him. We've finally found one that agrees all the way around with him and it's healthy. Thanks Bren! I know all about the pibble allergies, Shiner has them herself. I give my rat some of the food that I cook - she also loves chicken. Shiner loves everything! She usually gets some good fruits and veggies that the baby drops on the floor. Yep, that is quite the topic. The best food is the one we will eat, even if you go buy more of it! There is not scientific evidence that one pet food is better than another. With the exception of dogs that have health issues, most dogs will do pretty okay with any decent brand of pet food. All that disease talk is nonsense and raw food proponents use it as a "Big Corporate Shill" to defend their beliefs on why raw feeding is superior to any other kind of food. With kibbles, as long as TWO of the first three ingredients on the bag are meat, it's a pretty good kibble. The rest of the fancy ingredients are window dressing for the humans and a reason to charge more money. 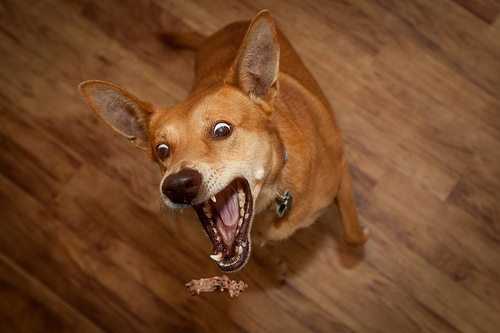 I'm not opposed to raw feeding, but dogs can get tooth fractures and intestinal blockages from not eating carefully. It's something to think about. Thanks for the input Karen - I always enjoy reading what you have to say about dog food. I've seen a lot of horrible things from bones... my dog is definitely NOT a careful eater. Thanks for an interesting post. Please, never feel bad to discuss politics, religion or pet food. We can all do with some enlightenment. As a vegetarian, my 'beef' is with companies that use 'human grade' meats in their kibble. There is NOTHING wrong with edible by products in pet and animal feed. We are slowly learning about 'pink slime'. Good point. Why let the animals that are raised for food purposes go to waste? Are we just going to throw away the parts that aren't deemed good enough? Good tactics Jackie... It was hard as a vet tech because we feel obligated to tell people what's "best" for their pet. I tried to just give advice when asked for. I eat kibble aimed at large breed dogs, as someone said above, we get one that has the first ingredient listed as meat. Alot of my friends from class have started the raw food diet and although they all rave about it, it sounds complicated. Daddy is keen to give it a go, but he hasn't done enough research and plus he wants to get a chest freezer so he can buy in bulk to lessen the cost. I think there is something to be said for all diets (except for canned wet food - tried it once and it made me fart loads BOL). Yes, the raw diet does sound like it could be complicated from a lot of things I've read about it. Maybe if your dad is going to try it, you should see if you like it before he buys you an expensive meat freezer! Shiner has gas too... I know it's no fun lol. Yes, it is a topic guaranteed to generate some heat. I worry that some of the people haven't researched it enough. Dog crates - or the fact that some people have reservations about them - is another topic that causes extreme reactions. I haven't had any arguments about dog crates yet haha. I do know what you mean though. I think there's a whole lot of passion on all sides. I found it really interesting to read the comments from the kibble feeders who feel "attacked" by the raw feeders because frankly, that's how I feel a lot. I get a whole lot of heat from the kibble feeding community about how "dangerous" our raw food diet is and how irresponsible I am for feeding it. After I came out as a raw feeder on my blog, I literally received hate mail from kibble feeders. It was horrifying. I think there are crazy people on all sides of the debate making everyone look bad. Truth be told, my dogs were not well suited to kibble diets - one had terrible allergies and the other wolfed his kibble so fast (even with the special bowls and the food toys and all my best efforts) that more often than not, he threw it back up. I've fed my pets literally every quality level of food in the last 5 years. 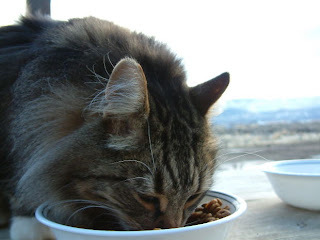 Felix started on the grocery store foods, tried the vet "prescription" diets, the premium kibble, the grain-free, the canned, the dehydrated, the home cooked - everything. As I've upgraded the foods they eat, I have seen changes in their health (some subtle, some very drastic). Going raw has solved a whole lot of problems for us and I refuse to apologize for it - just like I think people feeding kibble should never have to feed bad about that. It's a lifestyle choice. As a canine nutrition student with formal training, I think I discuss pet food more than anything else in my life and I can pretty confidently say that there is no one diet that is appropriate for EVERY dog. There are some key issues with a lot of the current pet foods on the market (in all types, not just kibble) that I find concerning. We do need to be calling the manufacturers out on their marketing statements and saying to our selves "does this make sense?". I think it's great that people are learning to be discerning about their pet food and what they choose to feed. I just don't see why we all have to be so judgey about it. Hey Kolchak - You have a very good point and I can believe that you get a lot of "hate" about feeding a raw food diet. Like I said, I used to be fairly opposed to the raw diet. Now that you mention it, you probably get attacked more than kibble feeders. I'm glad you've been able to find something that works well for your dog. I also think it's pretty cool that you're learning about canine nutrition - it sure is one tough subject. I agree there are a lot of people promoting a raw food diet for dogs but I tried the dehydrated type that you add water to and my dogs turned their nose up at it. I do give my dogs a quality grain free food and am convinced pets owners feeding their dogs food like Beneful need to do some research on those ingredients. If you are looking for high quality dog food and a company who donates dog food to pantries and shelters, check out BOGOBOWL.com. BOGO Bowl has been reviewed by Dogadvisor.com. The best part about this is, when someone purchases a bag of dog food, the purchaser gets to choose an organization in their area where another bag of dog food will be donated too! The dog food also ships for FREE anywhere in the US! First time buyers can use the coupon code BOGOLICIOUS for $5 off their order. Heck, I posted on FB today that i let my dog have a fresh strawberry and THAT got just such an argument started, i mean for crying out loud!